Having protein intake in sufficient quantity is vital for your health. It helps you in losing weight, increasing you muscle mass and improves your overall health. For these reasons, some specialists have suggested the Recommended Daily Intake (RDI) for protein to be 50 grams every day. 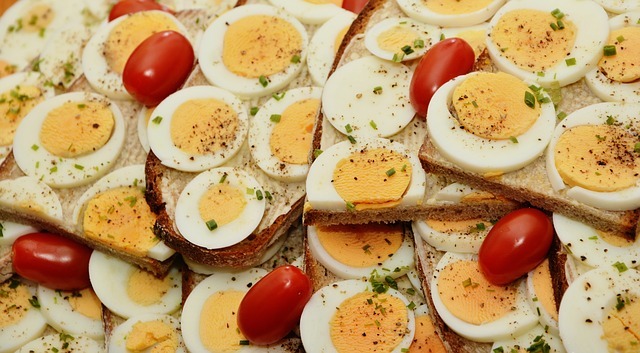 Now here are 7 different ways in which you can have more protein intake through your diet! One of the most delightful ways to have a sufficient intake of protein is to have protein rich snack. But snack like chips, crackers and others are not one of these. But snacks like cheese specially the cheddar cheese is a perfect example of a protein rich snack which has almost 7 grams of protein and infact four times as much calcium. Also cheese also provides many heart benefits. Breakfast is the most essential part of your diet routine and skipping this is not an option. Now oatmeal’s and cereals are a common things for people who like to have breakfast but don’t have enough time. However although cereals and oatmeal’s do contain proteins but is comparably in small amount about 6 grams in one cup serving. On the other hand eggs have 19g of high quality protein. Greek yogurt is considered to be high in protein. In just about 240 grams of yogurt you can have 17 to 20 grams of protein. Consider Greek yogurt over the traditional ones as they have more protein. Since the Greek yogurts releases the gut hormone GLP 1 and increases it too, it helps in reducing hunger. Also due to the presence of conjugates linoleic acid, it helps in weight loss as well. Include protein rich salads to your diet! Since salads are loaded with vitamins, minerals and antioxidants these are considered as exceptionally good it comes to your health. They also contain a few grams of protein which add more to its benefits. For example chicken or turkey breast has 30g protein, salmon has 25g, tuna has 26g of protein etc. for vegetarian chickpeas are a great option which contains 15g of proteins. In case if you are running late or are too lazy to prepare a protein rich food for your breakfast but still don’t want to miss on your protein intake, then protein hakes are the best option for you. To have a high protein shake, add some protein power to your smoothie. To have a sufficient intake of protein is to include it in every meal of yours throughout the day. It is recommended that you should consume around 20 to 0 grams of protein in your diet every day. This will help you giant h muscle mass and promote fullness. This helps lot when it comes to boosting the level of protein in your body. It is a high protein intake food and is delicious at the same time. It is found that in 100 grams of canned fish, you can have 20 to 25 grams of proteins as well as 150 – 200 grams of cal. Thus including protein in your diet is quite essential for your well being. Although there are several ways to have an intake of protein the above mentioned ones are also quite effective and must be tried at least once!